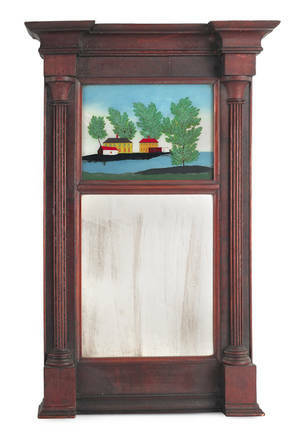 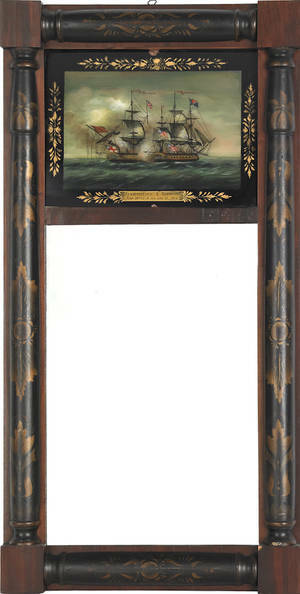 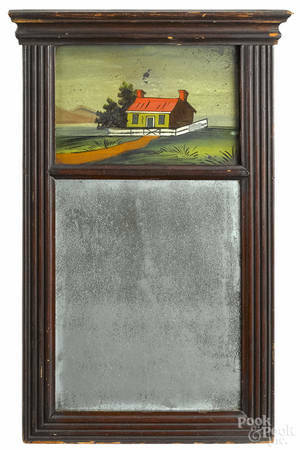 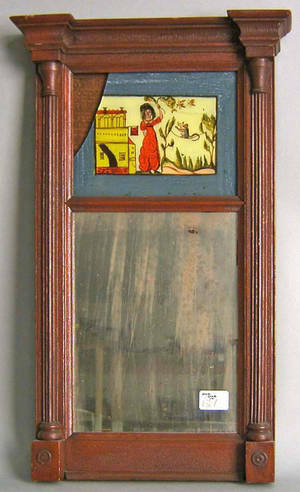 Realized price for Late Federal painted mirror, ca. 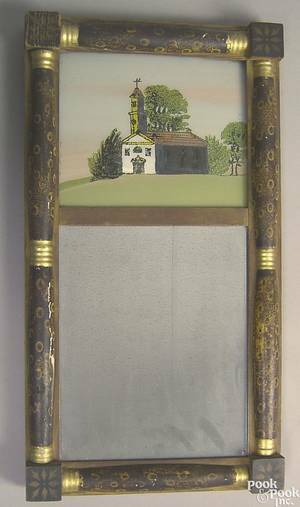 Late Federal painted mirror, ca. 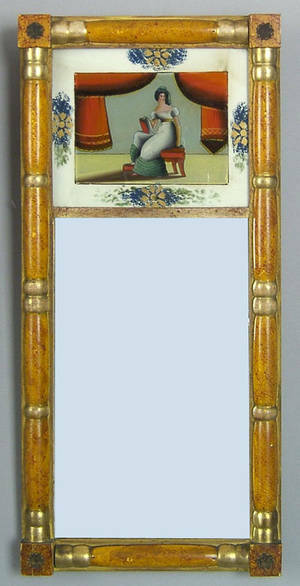 1830 , with eglomise panel of a young woman on stage within a marbleized frame, 29" l., 13 1/2" w.